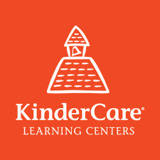 KinderCare is proud to offer one of the best early educational programs in the country — from infant to kindergarten and beyond. Children need a safe, secure “home away from home” where they can learn, play, and grow. That’s why we’ve designed a nurturing, creative world for infants six weeks and older that helps their minds and bodies develop. Our program emphasizes the importance of positive, supportive interactions between teacher and child. Our teachers sing, read, and talk with your child to help him or her with this critical developmental stage. Because our classrooms and equipment are developmentally appropriate in size, children can move, explore, and play with confidence. Age-appropriate activities are individually planned to promote your child’s specific cognitive and social development in a warm, nurturing environment. We are open 6:30am -6:30pm Monday through Friday and are convienently located on Bush Campus of Rutgers Piscataway we do accept public clients as well as offer signifcant discounts to Rutgers affilates. We serve children 6 weeks to 6 years of age and offer a full Summer Camp for children up to 12 years. Give us a call today to schedule an appointment to discuss more about how we can fit your needs today.